You’re probably thinking that power generators are only useful in business establishments and commercial buildings. However, power outages obviously do not occur in these places alone. Both commercial and residential areas can be affected by sudden and unforeseen power disruptions and outages and you wouldn’t want to have to struggle through an important task you’re doing at home during the night, in the middle of darkness, because electricity in your community has gone out. If you rely on your air-conditioners and electric fans for proper home ventilation, have a lot of easily perishable goods that need refrigeration, or use a lot of electricity for a variety of household tasks such as cooking, laundry, dishwashing, vacuuming, and more, a power interruption or outage then would be utterly inconvenient and troublesome. Imagine the absolute waste of time, effort, money and other resources. Power generators are important for your household, especially during a storm or bad weather that can potentially cut off power supply lines in your whole community. Aside from the inconveniences of not having a generator during disruption or outage of power, there are also safety and security concerns involved. What if an emergency occurs in your home while electricity is out? Investing in a durable and high-quality power generator is something you should highly consider. 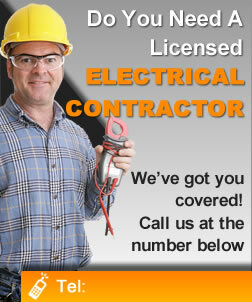 There are certified and experienced electricians in Columbus, Ohio you can consult when you’re looking to buy a first-rate and long-lasting generator that will be worth your money. These licensed electrical technicians can go through lists of specifications for you, to help you decide what generator unit will best fit your household needs in the event of a power interruption. Moreover, they can assist you with purchase, complete installation, and regular maintenance all throughout. Feel free to contact us now for a consultation and other related services.